Many gamers were happy when Fortnite debuted on Nintendo Switch in June 2018, as this allowed the millions of users of Nintendo’s console a chance to play what’s likely the most popular game in the world right now. There was a caveat, though, as many who had been playing Fortnite on PS4 until that point discovered they had to start over if they wanted to continue playing on Nintendo’s platform. This was due to Sony’s policy of not allowing cross-play for the PS4, which up to this point is something I thought made quite a bit of sense. After all, the PS4 is the leading console right now with over 70 million units sold, and letting gamers on Nintendo Switch or another platform like the Xbox One play against people on PS4 would make rivals’ consoles a more attractive buy in the eyes of many. So, it’s likely Sony’s rationale of not helping a competitor score what kept the PS4 cross-play-free until now. However, with Fortnite having more than 100 million players worldwide, it was only a matter of time before Sony would allow some form of cross-play on PS4, if only to appease an increasingly upset PS4 player base who could not play with their friends who were running the game on other systems. And that moment has arrived, with Sony announcing its cross-play plans for PS4 recently. Writing on the PlayStation blog, Sony exec John Kodera revealed that “cross-platform features” would soon be coming to PlayStation, while also recognizing that this represented “a major policy change for SIE”. “Today, the communities around some games have evolved to the point where cross-platform experiences add significant value to players”, said Kodera. “In recognition of this, we have completed a thorough analysis of the business mechanics required to ensure that the PlayStation experience for our users remains intact today, and in the future, as we look to open up the platform”, added the Sony exec. In other words, Sony is now performing a 180 degree turn, as it has finally realised it cannot be left out of the cross-play bandwagon and especially Fortnite cross-play, something which likely millions of players were shouting out loud for. 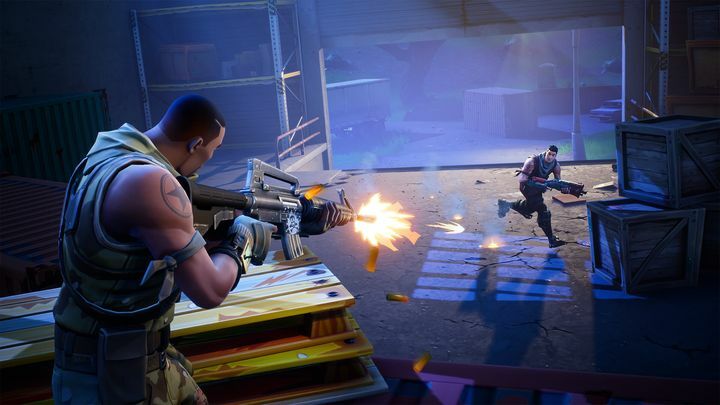 Actually, the company is now running an open beta in order to test Fornite cross-play across PS4, Xbox One, PC, Nintendo Switch and mobile platforms, letting Fortnite players sample the cross-play experience on PlayStation right now. So, this can only be good news for the millions of Fortnite players who play the game on PS4, as they’ll soon be able to go toe to toe with their friends on Nintendo Switch, Xbox One and other systems, something which can only be good for the gaming world as a whole.